POLITICAL AND ECONOMIC CHURN HAS CREATED INDUSTRY NERVOUSNESS BUT INNOVATORS REMAIN BULLISH IN RAPIDLY DEVELOPING TECHNOLOGY MARKETS. Like many other sections of UK industry, electronics manufacturing is seen as having high levels of innovation. Companies within the industry respond enthusiastically to rapidly-changing applications and are fast at delivering new products through design and development phases. Whether these new products are manufactured in the country depends on the manufacturing landscape, skills availability and component supply issues. Outsourcing and Offshoring Sourcing decisions continue to be a point of considerable difficulty in the industry, with uncertainties around currency strength, trade agreements, local skills availability and rising overseas manufacturing costs. There is still significant value in manufacturing overseas, particularly for high volume products, when considering proximity to local markets, existing production plants with sufficient capacity and local supply chain logistics. There is little energy currently going into reshoring manufacturing of existing products back into the UK. 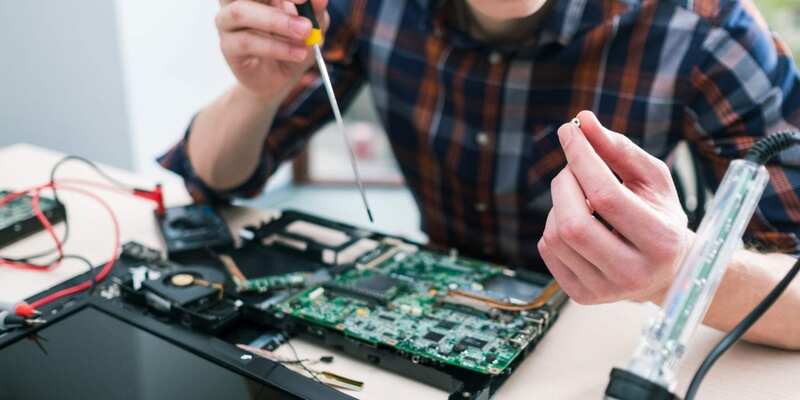 Electronics manufacturers within the UK are looking to improve their facilities and keep pace with trends towards digitisation to improve monitoring, maintenance and throughput. 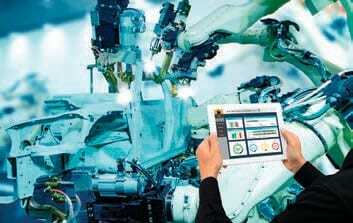 The concept of “Industry 4.0” is being adopted in the sector as good manufacturing practice. The introduction of new technology and the establishment of production facilities for smart sensors, embedded systems, elements required for the machine building industry, components and test systems characterise electronics manufacturing in the UK today and is forecast to continue to do so. The innovation focus aligns itself with trends in telecommunications, artificial intelligence (AI), connected consumer equipment and autonomy in transport systems. All these end use applications were identified as the prime areas of global growth in the industry in 2018. The biennial electronics trade fair, Electronica, held in Munich during 2018, saw considerable interest in emerging technology relating to AI in healthcare, wearable devices and home automation. With the highest potential growth in both established and emerging markets, these are areas where UK based innovative skills can be best utilised. 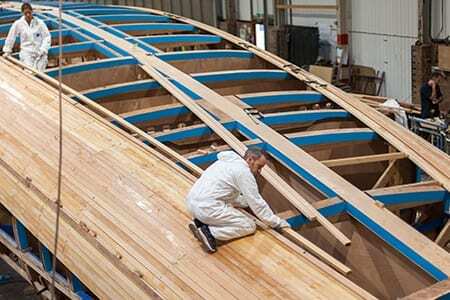 Ensuring the right balance of engineering skills availability will prove crucial as the UK enters a period of political uncertainty. Graduate output from universities specialising in engineering disciplines has ensured that the standard of intellectual capability is being maintained but in insufficient quantities. A report from the Engineering Council talked about a “missing million”: people with the right education, skills and experience who have chosen not to register with the Professional Engineering Institutions. As many as a third of all vacancies across the manufacturing sector are difficult to fill; that shortage is expected to become even more acute, once Britain has left the EU. The challenge for Engineering Council, Universities and other training bodies is to ensure the right skills are available in the right quantities for imminent high-tech challenges. Electronics manufacturing is more high-tech and creative than ever but not all in the industry are sufficiently ready to adapt. Robotics and AI skills have long been identified as being in short supply. Coupled with the challenge of retaining talent post-Brexit, it’s clear that high growth, innovative sections of the industry need specialist support in order to thrive. Support is available in the UK through bodies like Innovate UK and the Engineering and Physical Sciences Research Council (EPSRC), which are both heavily engaged in projects to realise the best outcome from the innovative potential that is the country’s strong point. Chain The growth in consumer electronic products, in-vehicle entertainment and safety systems, as well as the growth of the industrial internet of things (IIoT), have led to growth in demand for electronic components both globally and within the UK. 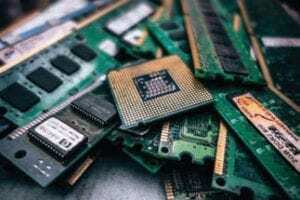 According to the UK’s Electronic Components Supply Network (ecsn), mid-year growth in sales across the industry was just under six per cent; the organisation expects this to exceed nine per cent (year-on-year) by the end of Q4 2018. 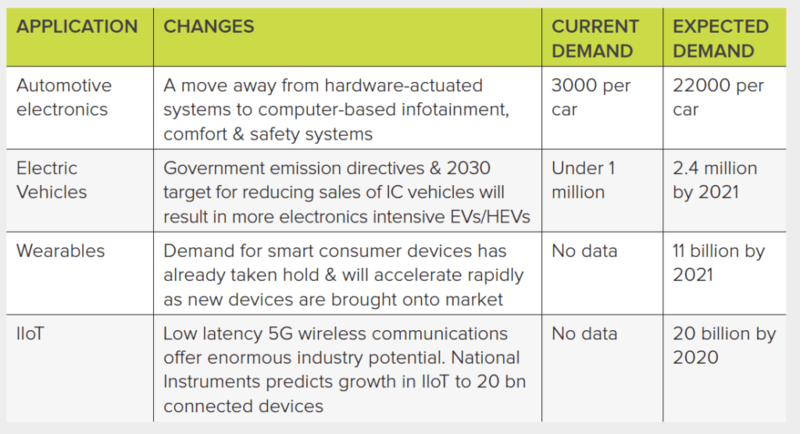 Being on the cusp of 5G rollout, the IIoT, expanded use of wearable technology and higher electronic content in the automotive industry is likely to see unprecedented growth in component supply through 2019. Aubrey Dunford, ecsn’s market analyst, believes that the growth levels predicted during the year will be greater than anything seen since the organisation started collecting data, 35 years ago. This shortage is expected to last into the first half of 2020, which will severely limit the growth in applications that require these components; a situation OEMs are unlikely to accept without seeking alternatives. These trends are predicted to continue through to 2020. During that time, an uplift in demand based on technology trends is likely to be offset by economic and political uncertainty, along with supply chain inertia. Populated electronic board manufacturing has been in constant decline as the main manufacturers choose to manufacture offshore. Computer peripherals has seen increased output of laptop computers and keyboards, with sales in 2017 of £14M. Communication equipment (including handsets and infrastructure equipment) reduced from 2012’s peak and has remained broadly stable. Consumer electronics device manufacturing has seen a steady increase since 2013, ascribed to the global market, but growth has been modest and is largely the result of TV tuning boxes.